Wholly Australian owned and with 30 years of service experience means we can supply a wide range of quality Folding Inserting Machines and Paper Folding Machines. We at FP Mail offer a professional and specialised service when it comes to obtaining the right Folding Inserting machine for your particular application. Most of our equipment is supplied to us directly from FP Germany so you can be assured of high-quality equipment, service and ongoing training at your convenience on all of the Folding Inserting Machines we supply. Call us with your specific folding and inserting application and we’ll be happy to help you with a machine that will suit. 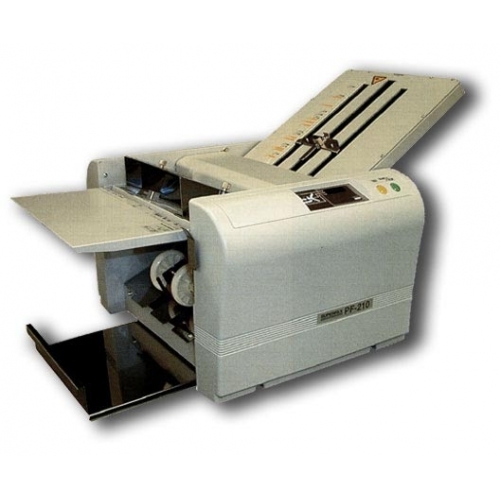 The EP-42F Paper Folding Machine is our easiest machine to use, it’s a versatile unit which is super reliable, and is perfectly priced to give you great value for money. 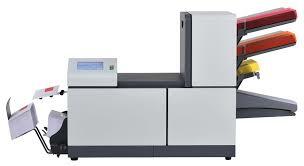 The FPi 600 table top inserter is your perfect mail elf. The FPi 600 will finish your outgoing mail in a snap. Get important correspondence and invoices out the door quicker so you can devote more time to your main responsibilities. 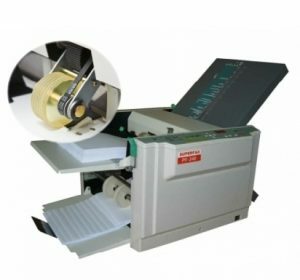 With the ability to fold, insert and seal 50 letters into envelopes within 5 minutes the FPi 600 will eliminate the mind-numbing task of manually stuffing paper into envelopes. 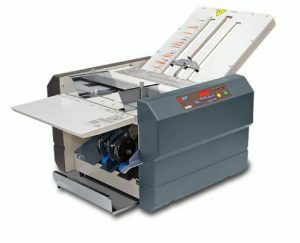 The FPi2300 table-top Folding Inserting Machines quickly and easily gets business letters, advertising mailings, invoices, pay-slips and other documents into the mail – with or without enclosures. The new FPi2300 series of table-top mail Folding and Inserting Machine will win you over with its ease of operation and reliability. 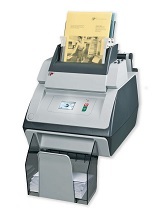 The system can fold documents of various sizes to fit into DL, C5/6 and C5 envelopes. Small formats, reply cards or return envelopes can be added to letters quickly and easily. The FPi 4700 Folding Inserting Machines offer an intelligent, high-performance inserting and folding technology. With three multi-functional feeders and a powerful folding device, the system offers a variety of solutions for the most ambitious inserting jobs. 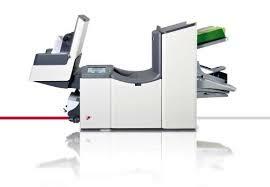 FPi 4700 processes different sizes of documents, single or multi-page, with or without enclosures into envelope formats C6, C6/5 and C5 at a speed of up to 3,000 letters per hour. Unique functions i.e. fill & start, as well as an interactive display with a graphic explanation, make operation as simple as child’s play.